Double board-certified by the American Board of Facial Plastic and Reconstructive Surgery and the American Academy of Otolaryngology. With over two decades of experience in Facial Plastic Surgery, Dr. Christopher Tolan knew that he wanted to start a different kind of facial plastic surgery clinic. One, which respected that the health and vitality of our appearance is multifaceted, and thus, deserved a multidimensional approach. A clinic that offered patients the empowerment of education and choice, and truly put their best interests at heart. As a result, Midwest Facial Plastic Surgery was born, and has quickly become one of the most respected and prominent surgical clinics in the Midwest. Dr. Tolan’s medical background is homegrown. He graduated from the University of Minnesota Medical School and went on to complete his residency in Otolaryngology – Head and Neck Surgery at the University of Minnesota Hospitals and Clinics. While in training, Dr. Tolan became interested in plastic surgery after observing children who had undergone repair of congenital facial deformities, such as cleft lip and palate. He felt passionate about making a difference in these children’s’ lives and anyone who suffers from this condition. As a result, he decided to dedicate his training in residency, fellowship, and clinical practice to reconstructive and cosmetic surgery of the face and neck. To this day, Dr. Tolan continues to perform hundreds of cleft lip and palate surgeries both locally and internationally. He also participates yearly in medical mission trips, providing surgical cleft care to those in need. Following his residency, Dr. Tolan pursued his fellowship in facial plastic and reconstructive surgery at the University of California – Davis Medical Center in Sacramento, California. Since the completion of his fellowship, Dr. Tolan has also received board certification from both The American Board of Facial Plastic and Reconstructive Surgery and The American Board of Otolaryngology – Head and Neck Surgery. Dr. Tolan is also a member of The American Society of Laser Medicine and The American Academy of Cleft and Craniofacial Surgery. These credentials and qualifications make him one of the mores unique and sought after facial plastic surgeons in the Midwest. 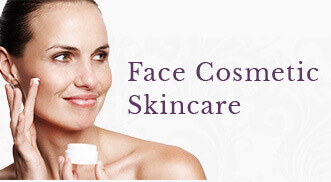 Realizing that the surgical aspect was only one component of the overall framework of skin health and appearance, Dr. Tolan and his partner, Dr. Garrett Griffin, started Face Cosmetic Skincare as a sister company to Midwest Facial Plastic Surgery. 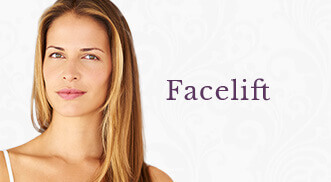 Face offers non-surgical facial rejuvenation services such as laser, chemical peels and botox/dermal fillers, which can stand alone in their results, or compliment and enhance the results of surgical patients. Dr. Tolan has become a regional leader in the cosmetic injectable world. He serves as a national trainer for Allergan, the manufacturer of Botox, and also lectures and instructs other physicians and health care providers on the most up to date techniques for the proper use of Botox® and dermal fillers. As a result of these efforts, Midwest Facial Plastic Surgery is in the top 1% of all 36,000 clinics providing Botox in the United States. 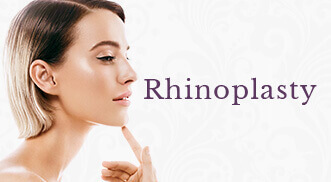 This has earned the clinic the coveted Black Diamond Status with Allergan. In addition to his national trainings, Dr. Tolan has appeared as a guest expert on both television and radio. He is proud to have been voted an area “Top Doctor” by Mpls. St. Paul Magazine several times. Adamant about enriching the education of others in his field, Dr. Tolan has also served as a physician consultant and educator for one of the world’s top pharmaceutical companies. Dr. Tolan’s passion for education extends to his patients. He wants his patients to feel informed, educated and comfortable with their decisions, regardless of if you are pursuing a surgical procedure, or a Botox injection. He believes that a great physician never forgets what it feels like to be in their patient’s shoes. In turn, he strives to make everyone he touches feel empowered and more confident through the treatments he offers along with the amazing team at Midwest Facial Plastic Surgery.